I bought this bag while at the Ferry Buildilng from Heath Cermaics. 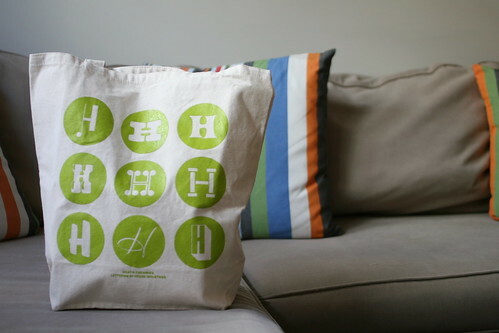 I have a love for all things H.
I may be making these later today. Bacon Cinamon Rolls. You heard me… BACON CINAMON ROLLS! My plan on being a wine sommelier just got a huge push! I am very much into stripes right now. Both the new Twist Colletive and Knitscene magazines are out! I want to knit everything. First, I must finish Leah's cardigan! A tale of two sleeves.